Students are better writers when they master discrete writing skills. 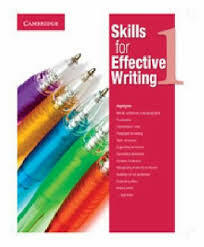 Skills for Effective Writing teaches these skills, such as identifying topic sentences and recognizing irrelevant information, and offers extensive practice opportunities. When students master discrete skills, all of their writing improves. This allows teachers to focus their time and feedback on the content of student work. Dimensions: 129pp h297mm x w210mm 368g illus.